Do you track your trash? How carefully do you sort your garbage—organic waste in a composter, recyclables separated into the right bins, non-recyclable waste isolated into its own receptacle? How cautiously do you ensure that hazardous materials are excluded from the recycling bin or that your bottles and cans are clean? As Americans, we all contribute to the more than 250 million tons of solid waste generated in the United States each year, around 34 percent of which (87 million tons) makes it way to recycling facilities that employ unskilled, low-wage workers to operate heavy machinery. While recycling is recognized as a societal good, the working conditions in these facilities are cause for concern. In a 2012 report entitled “Promoting Safety and Health in a Green Economy“, the U.S. Department of Labor’s Occupational Safety and Health Administration division outlined the risks for workers who are often poorly paid, inadequately trained, and exposed to hazardous conditions at recycling facilities among other “green” jobs. Sorting and picking through chemical waste, batteries, scrap metal, and organic materials, workers have been burned, lost limbs, and been exposed to all manner of noxious inhalants. A 2016 investigative report published in Mother Jones outlines the dangers to workers and tells the stories of some who have died from working in these hazardous conditions. The AMP Robotics logo on a small piece of hardware. “At the beginning, we saw ourselves as a computer vision company. We were going to just apply robots to this problem. When we started getting deeper into the recycling industry, we just saw so much potential. Even without robotics, technology in recycling is improving at a steady clip,” says Horowitz. AMP Robotics technology aims to make the industry profitable and safe. Compared with landfill use, the economics of recycling are appealing to waste management companies, as an efficiently run recycling facility can achieve higher profit margins for managing their waste. “In the industry, there’s something called tip fees [also known as disposal fees]. If the tip fees for a recycler are lower than the landfill tip fees, recycling becomes not just the right thing to do, but it’s the economically efficient thing to do. Now we’re basically just digging in as deep as we can and seeing how could we help bring the cost of recycling down.” says Horowitz. With their current recycling facility partners around the country, Horowitz estimates that they are saving 50 percent of sorting costs using AMP Robotics systems. 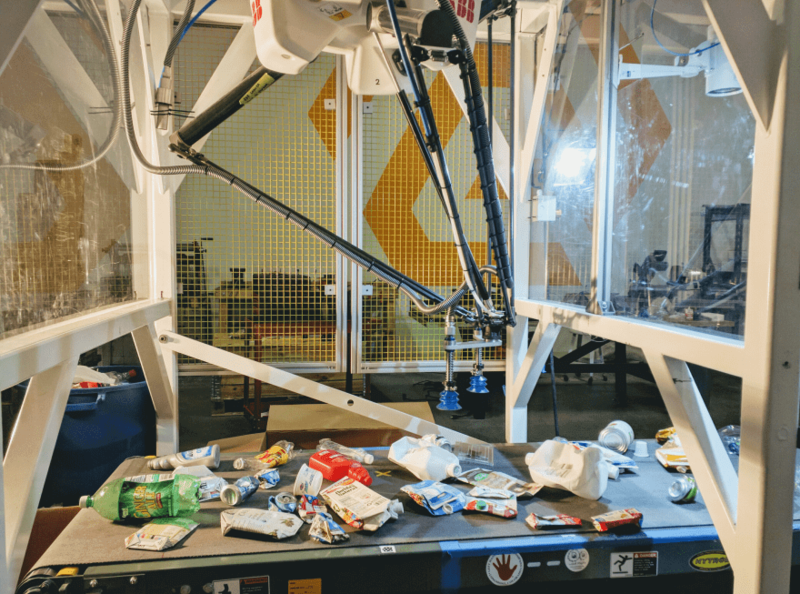 Calling what they do “scalable recycling solutions,” Horowitz’s team leverages machine learning to teach the robots to identify valuable materials amid the clutter of fast-moving conveyor belts. Their comparative efficiency shows that their robots can make 50 – 100 accurate “picks” per minute, while their human counterparts can achieve between 30 – 60 picks per minute. With smart technologies they can constantly improve their accuracy as new forms of recycled materials are introduced to the marketplace. The AMP Robotics system recycling items. Even more important than that is the improved safety that comes with the AMP Robotics system. 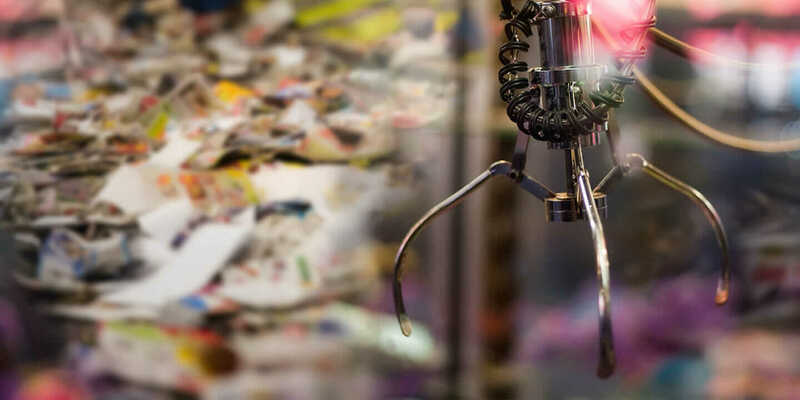 By utilizing AMP Robotics systems, recycling plant workers aren’t exposed to harmful contaminants and significantly reduce their risk of serious injury. Efficiency combined with improved safety is the key to profitability. “When you start getting deeper and deeper into a problem, it becomes even more rich with opportunity,” says Horowitz. With a Ph.D. in Robotics from CalTech and time spent at NASA’s Jet Propulsion Lab, Horowitz knows how to create a wickedly efficient algorithm. Designing the robots, however, was not as intuitive. His start-up team consisted of programmers with no mechanical background. Model of AMP Robotics using Autodesk Fusion 360. 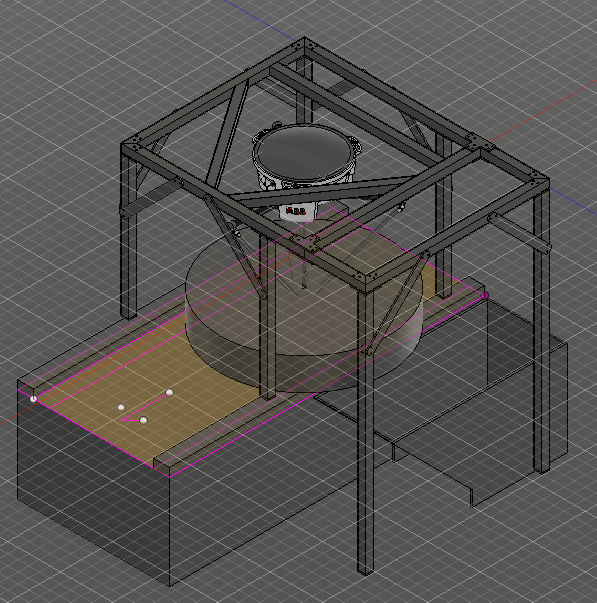 The accessibility of Fusion 360 turned a deficit into an opportunity. Suddenly the team could actually see what they were making, creating 3D models that aligned with their vision of an algorithmically pure solution. The moment of clarity for him was seeing the DARPA Grand Challenge. Run by DoD’s Defense Advanced Research Projects Agency, the competition was intended to spur the development of autonomous cars. To Horowitz, the Grand Challenge felt like a page out of his childhood where he recalled playing with Transformers, an early window into robotics beloved by many children. That passion was further fueled by his older brother, Benjamin, who taught him how to program, which ultimately took him to CalTech. Running parallel to his love of robotics was an appreciation for recycling. Growing up in eco-savvy Boulder, Colorado, he was first introduced to the recycling industry as a kindergarten student when some representatives from the local Eco-Cycle plant spoke to his class. A later visit to the massive Puente Hills recycling facility in Los Angeles set the wheels in motion. These experiences, seemingly random and unconnected, collectively combined to create a set of experiences that launched AMP Robotics. For their part, AMP Robotics is hoping to inspire more passion in recycling and robotics. The company has worked hard to connect with meaningful investors in their work, such as companies like the Oskar Blues Brewery, a firm that is already active in green causes and recently awarded AMP Robotics a grant to advance their work. “The money from Oskar Blues Brewery let us buy our first conveyor belt and build a test set-up in our facility,” Horowitz says. More investors will mean greater advances and more opportunities to improve AMP Robotics offerings throughout and beyond Boulder. Matanya Horowitz and the AMP Robotics team at work. As for the AMP Robotics team, Horowitz offers them an opportunity to work in a technologically innovative field while also furthering a cause that matters. 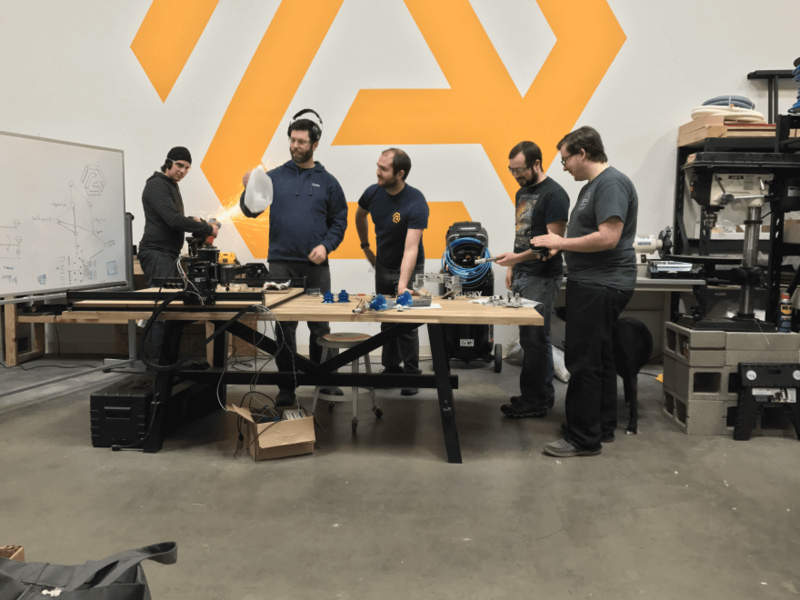 For the local Boulder community, particularly the recycling plant workers and their families, AMP Robotics offers a window into what robotics can do for them and, perhaps, offers new opportunities for the future.